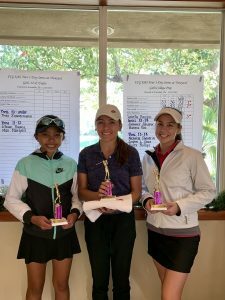 For the Girls College Prep division, who played the white tees, in first place with a score of 73 was Frankie Garcia. Coming in second place was Madeline Jones with a score of 82. Finishing in third place is Isabella Ranches with a round of 83. 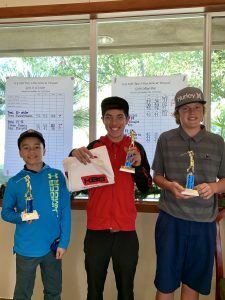 For the Boys 13-14 division, who played the white tees, we had Nicholas Chavarin come in first place with a round of 80. Coming in a tie for second place was Kyler Phillips with a round of 92 and also with a round of 92 Jaiden Davis. In the Girls 13-14 division, who played the red tees, we had Summer Schafer shoot a round of 91. 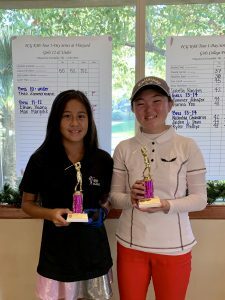 In second with a round of 92 is Hanna Yoo. 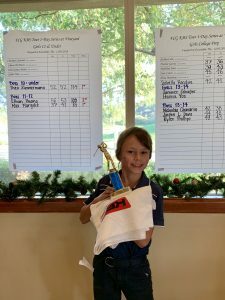 For the Boys 11-12 division, who also played the red tees, taking home the first place trophy was Max Margolis after a round of 78. Coming in second place is Ethan Huang with a score of 109. 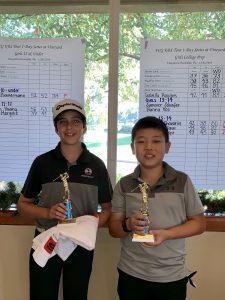 In the boys 10 and under division, who played the red tees, we had Theo Zimmermann shoot a round of 104.The Girls 12 and Under division played the red tees and had Jaylen Wan came in first place with a round of 87. Coming in second place was Charlotte Cantonis who had a score of 91. Finishing in third place is Sofia Gomez with a round of 91. Congratulations to all players, parents, spectators and staff at The Vineyard in helping us have another successful FCG event. See you at the next one!